Ever wonder if you should invest in retargeting ads? Perhaps considered allocating your marketing budget to test retargeting? Here are 7 stats that shows just how powerful banner retargeting is and why it’s the next big thing in online advertising. – Consumer’s reactions to online ads show that 30% are positive, 11% negative and 59% neutral. – Retargeted ads led to a +1046% increase in branded search. – 72% of online shoppers are likely to abandon their carts before checking out. 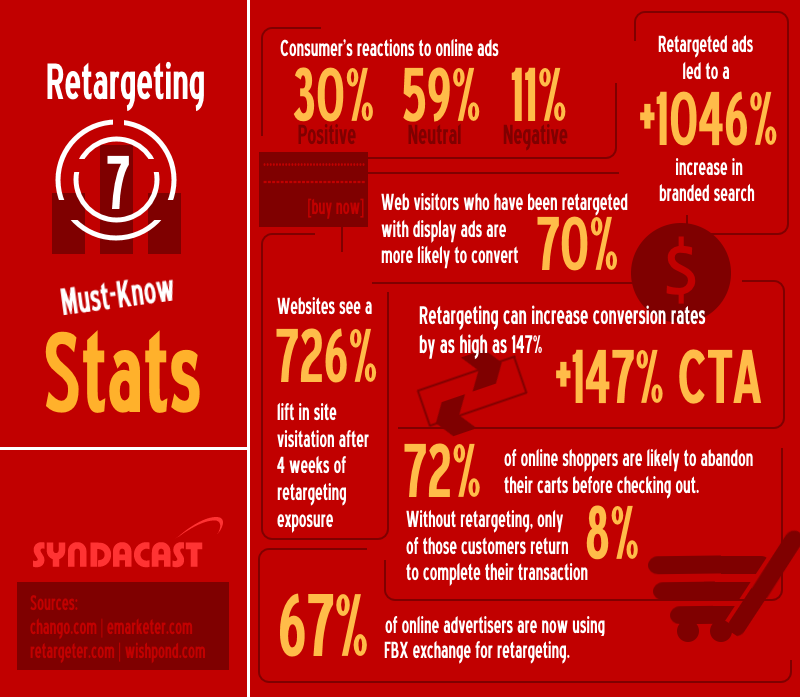 Without retargeting, only 8% of those customers return to complete their transaction. – 67% of online advertisers are now using FBX exchange for retargeting.